It's funny the way things work out. 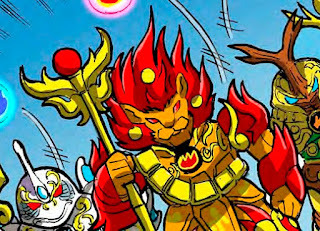 I was thinking earlier that I hadn't done a Battle Beast post in a while and out of nowhere, the newest Legends Web Comic went online today. 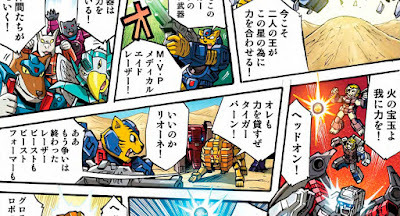 As you may know, the web manga/ comics are Battle Beast heavy. This issue was an absolute treat to skim over (it's not in English, so I have to get what I can out of it) as there was a little surprise in the panels. 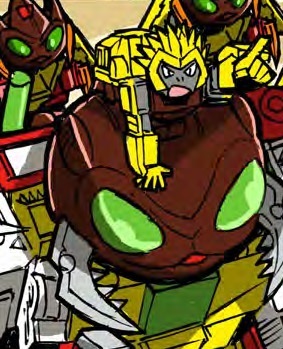 That sure looks like a Kabuto Mushi in the mix, because it kinda is. The designs were in the Laser Beast Japanese book, but The Godbeast did make a set. That's super dooper cool man. I mean like, sooper dooper. I've made my love for Titans Return and Battle Beasts far known here and have really appreciated the many Battle Beasts worked into Titans Return as Titanmasters. 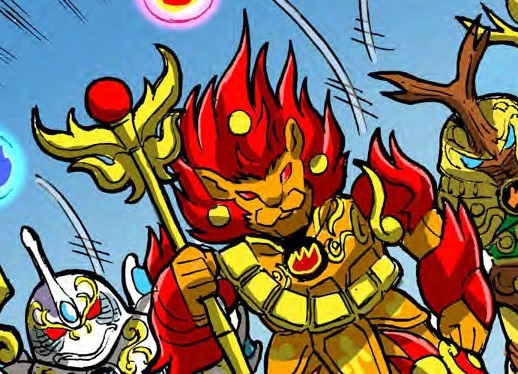 One neat thing about Battle Beasts is the fact that there is constantly new ones coming out. Be it newer lines like Titans Returns, Beast Saga and in the Minimates assortments, or unofficial figures in other lines (Imaginext has all but out heat rub stickers on theirs), there's usually some form of Battle Beast available. Looking back, it wasn't until I was older and had internet access until I discovered that Battle Beasts were part of Transformers. Both were toy lines I had always loved, but their association never occurred to me and then it was all so obvious. 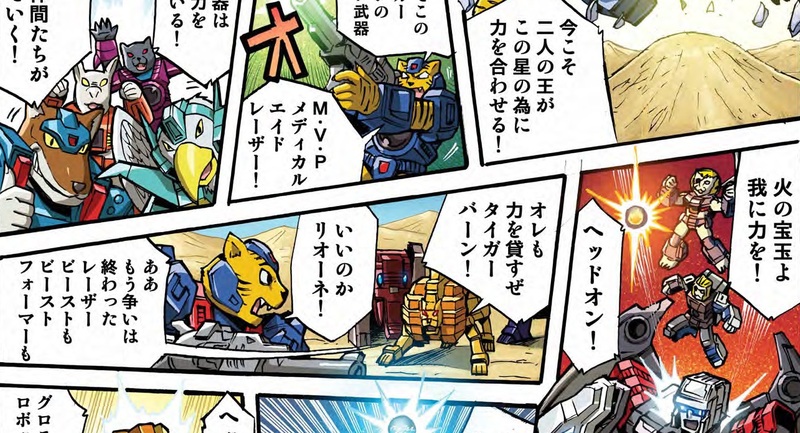 Seeing the continued use of Battle Beasts in Transformers is something I just freaking find awesome. Not just that they're constantly still used, but generally used well and in a way that I enjoy quite a lot.